SAN MARCOS, Calif. – Great beer lovers in the Centennial State have a reason to cheer. Port Brewing Company, 2007’s Great American Beer Festival Small Brewery of the Year, and 2008 World Beer Cup Champion Small Brewery, announced today that it has signed a distribution agreement with Denver-based Elite Brands. Under the agreement Elite Brands will provide statewide distribution of Port’s high touted family of American ales and groundbreaking Lost Abbey Belgian-inspired beers throughout the state of Colorado. Elite Brands will begin distribution of Port Brewing and Lost Abbey beers immediately. In support of the brewery’s arrival in the state, Tomme Arthur will be making appearances and discussing his brews at Denver’s famed Falling Rock Taphouse on Wednesday, September 10th, and at Ft Collins’ Choice City Butchers on Thursday, September 11th. Terry Cekola founded Elite Brands of Colorado in 2003 after moving from Michigan where she grew up in the distribution business. Her brothers run Imperial Beverage of Kalamazoo and Elite Brands of Michigan based in Detroit. Based in Denver, Elite of Colorado has 11 sales people and distributes beer, wine and a small amount of specialty spirits throughout the state. The company is located at 4912 Lima Street, Denver, CO 80239. Telephone (303) 394-7535. Founded in 2006, Port Brewing Company is 2007’s Great American Beer Festival Small Brewery of the Year and produces a line of award-winning American ales as well as the groundbreaking Lost Abbey family of Belgian-inspired beers. Craft brewed under the direction of co-founder and three-time GABF brewer of the year, Tomme Arthur, five beers are issued under the Lost Abbey label year-round: Avant Garde, Lost and Found, Red Barn, Devotion and Judgment Day. Additionally, a number of seasonal and specialty releases are offered at various times throughout the year. As many of these are blended and aged for up to 18 months in French Oak, Brandy and Bourbon barrels, Lost Abbey beers are universally recognized for their complexity, unique flavors, and bold, boundary-pushing styles. 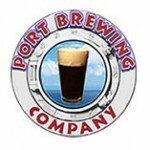 Port Brewing is located at 155 Mata Way, Suite 104, San Marcos, CA 92069, USA. Telephone (760) 889-9318, web: www.lostabbey.com. I have been a professional brewer for over 10 years and have known Tomme way longer that. Tomme is in my opinion one of the best brewers in America… As well as a good friend.. The beer parade just keeps coming into Colorado! This is great news for Colorado craft beer drinkers. Thanks for the heads up on the Choice City appearance. Missed hearing about that.